The hospital has been designed so that everyone can easily access our amenities and facilities. Inclined walkways or ramps link our hospital, its road network, parking, public transport facilities and nearby health, education and research facilities. 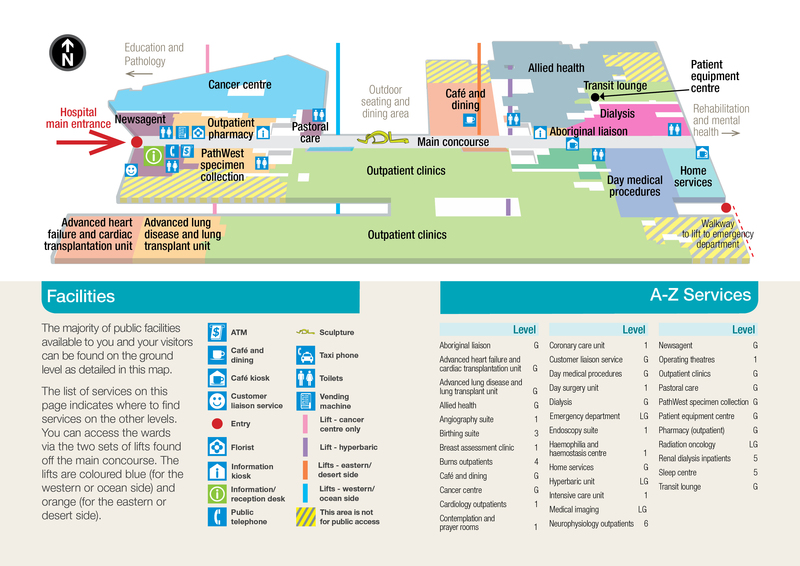 All levels of our hospital are accessible by lifts and a central concourse links all major areas of our hospital. Along with well-designed signage, a ‘way-finder’ navigation system will make it simple for everyone to find their way around and the design of our hospital includes elements to help people orientate themselves, such as contrasting colours for people with impaired vision.